Synopsis: A young girl buys an antique box at a yard sale, unaware that inside the collectible lives a malicious ancient spirit. The girl’s father teams with his ex-wife to find a way to end the curse upon their child. Quick Review: The Possession is a very bland effort to create the Jewish Exorcist but, with only talent in front of the camera, the movie falls flat and does not provide any scares whatsoever. I don’t know exactly what went wrong with The Possession but, contrary to other PG13 horror movies, such as Insidious or Dark Skies, it never brings anything to the table. The script is a blatant ripoff of every kids-possessed movie out there and despite having great kids actors and recognizable faces as parents (Kyra Sedgwick and Jeffrey Dean Morgan) it’s not enough for us to care. Visually, the movie looks average at best, and the music/score is definitively lacking any creep factor. This might be a family friendly scary movie but it’s definitively not a horror fan friendly one. 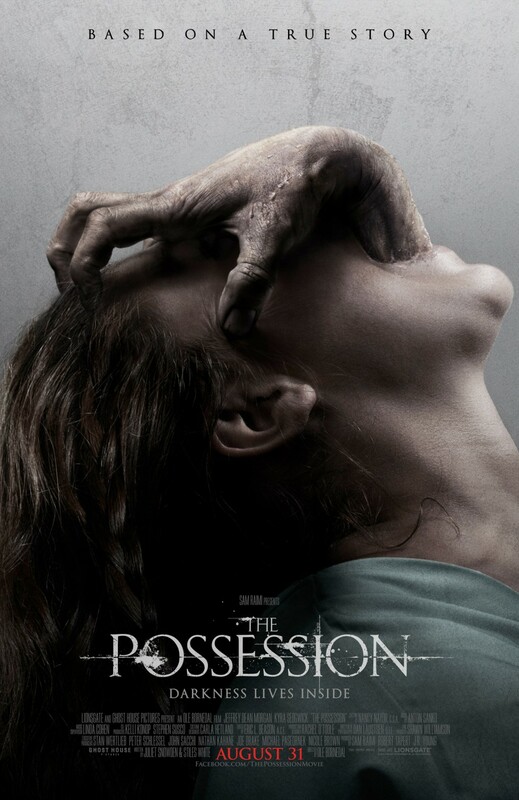 Click Here to Own and Watch The Possession Now! What a great movie! I couldn’t wait to see it, and it did not disappoint at all. I also caught Amy on demand this morning, what a scary film. Amish people and possession, what could be scarier? Glad you liked the movie yourself. I’ve been reading only negative reviews about Amy so far. I might need to check it out though. Amish and possession, what could possibly go wrong with that! !